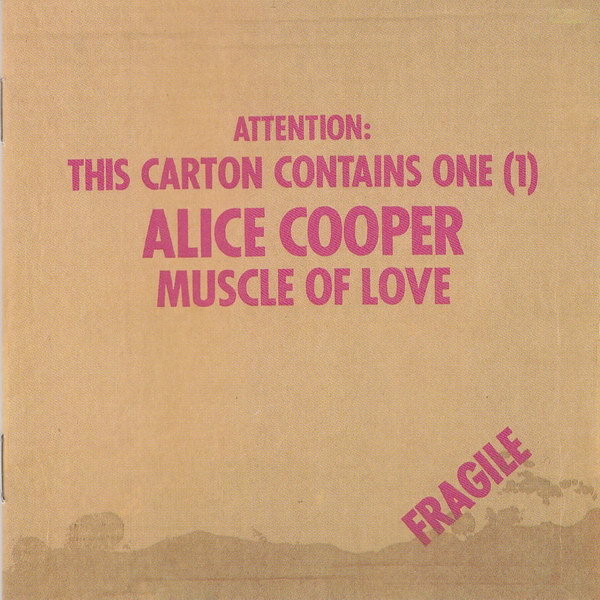 Muscle of Love font here refers to the font used on the cover artwork of Muscle of Love, which is the seventh album by the American rock singer Alice Cooper, also the final album by Alice Cooper as a band. The font used for the text on the cover is probably Futura Condensed Bold designed by Paul Renner. Futura is a commercial font and you can view more details about it here. In addition to Muscle of Love, Futura typeface is also used in the following logos, movie posters or album covers etc., including: Occupy Wall Street, The Social Network, Lemme Freak, Vertex, Some Nights, Sonic, Grand Prix, Alabama Moon, Bootleg (Kenshi Yonezu), Supreme, Football Manager 2016, Hangover, Eyes Wide Shut, Native, Resistance Fall of Man.